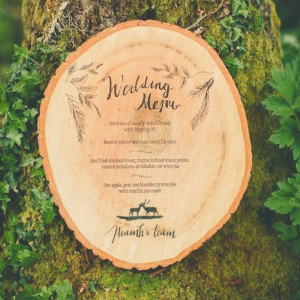 Last year’s super stylish rustic and farmhouse themed weddings have evolved in 2018 to include greener, more enchanted motifs that some are calling a Woodland theme. Naturally, wood plays a staring role in the décor. 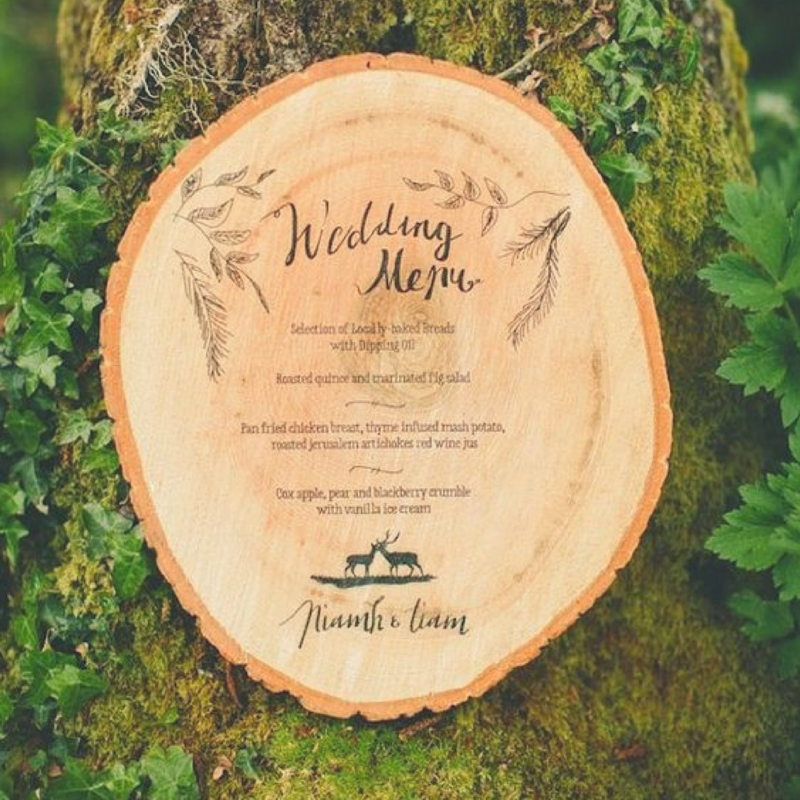 Lucky for us, there are plenty of ways to include wooden decor in your wedding to get the fairy-tale-perfect look. Thinly sliced logs, or “tree slices” as Pinterest sometimes calls them, are an extremely versatile and fun decorating material that will give you that woodland look in spades, while still bringing class and style. 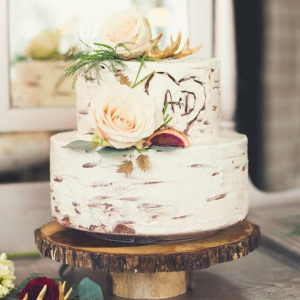 Here are eight ways for you to use this natural, decorating powerhouse in your wedding. 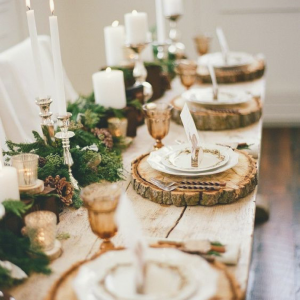 Sliced logs make charming chargers for your wedding feast table. 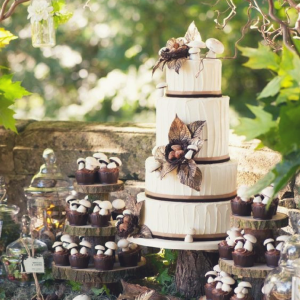 They lend themselves to the woodland look, but work just as well for an autumn or winter themed party. Rather than cutting down your own tree to source your tableware, check with a local arborist to see if they can cut the slices for you when they cut down a tree. If a charger under every plate feels like too much, sliced logs make delightful platforms for centerpieces. You can use a single wood slice to cluster a flower arrangement and candles, or you can stack more than one slice to create visual interest with height. Greenery like pine boughs, moss, or leaves work well with the natural wood and sometimes are all you need. Stack wood slabs to create different levels to display hors d’oeuvres atop a bed of trailing leaves and moss — perfect for cocktail hour. 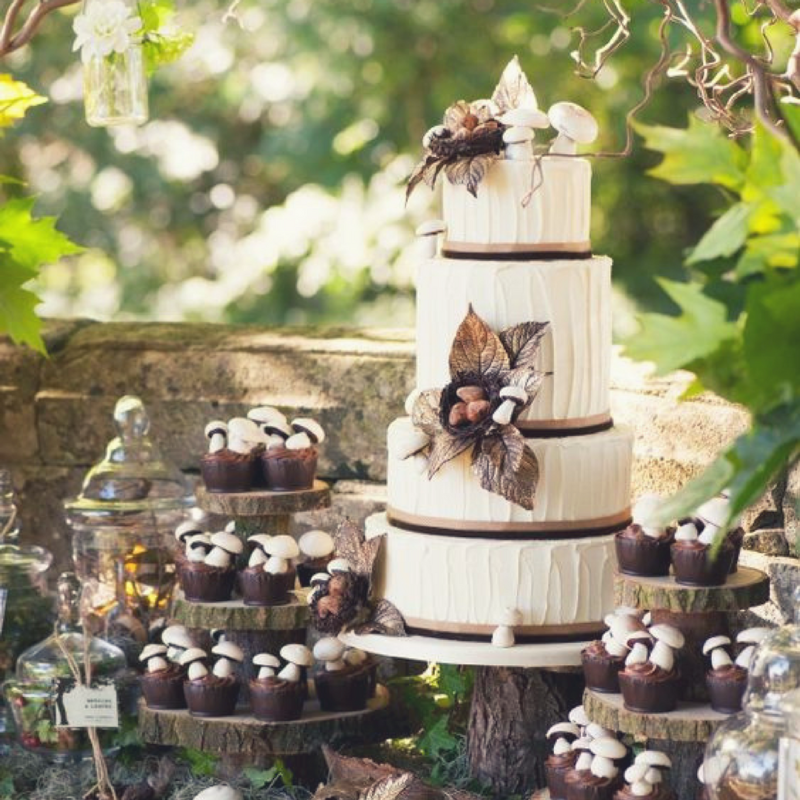 Larger tree slices can be attached to smaller diameter logs to create cupcake stands or tiered dessert stands. Hollow out a tea light-sized hole in logs of different heights for log-shaped candles or use them to prop up pillars at varying heights. 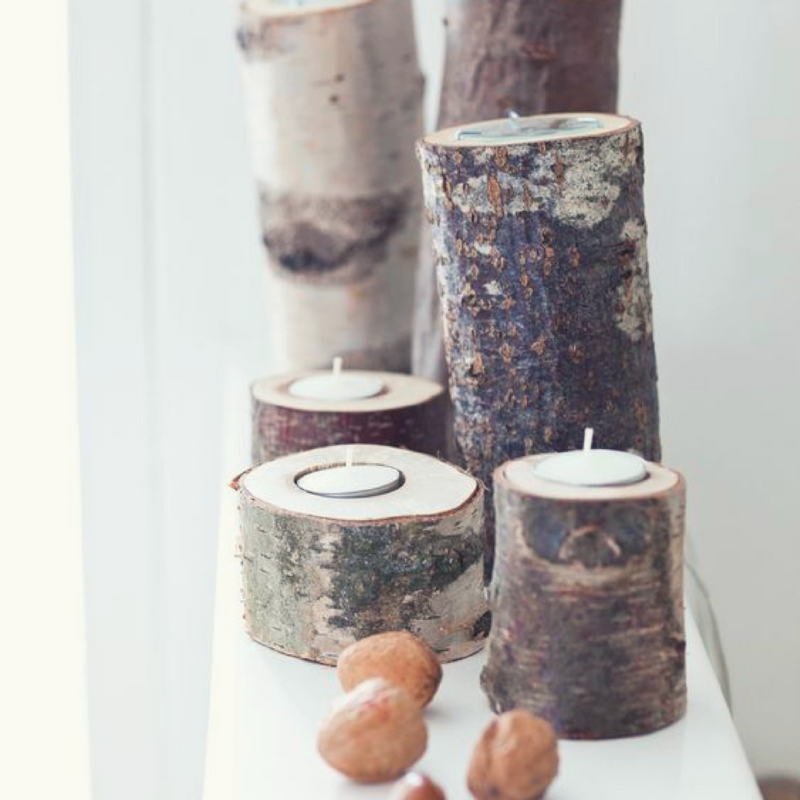 Arrange clusters of candle logs for a warm and magical effect. Need to guide guests to their spot at the table? 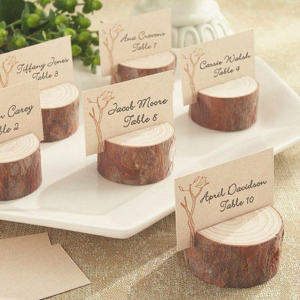 Smaller cut logs can work perfectly as place card holders. 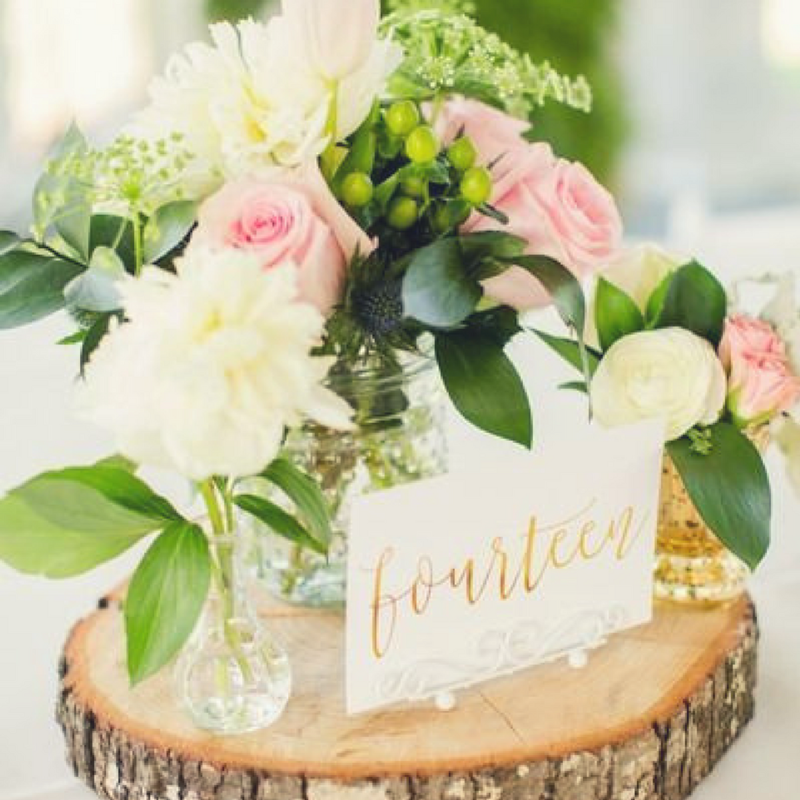 Logs can also be used to indicate table numbers in the same way. Sand and rub your wood slices with lemon oil to bring out the natural beauty. A soak in Pentracryl (or a similar green wood stabilizer) will help prevent cracking. Skip the traditional guest book and try this novel way of remembering all your guests. 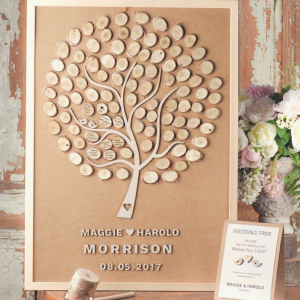 Instead of getting lost in a dusty drawer, your guestbook will become art and an interesting conversation piece for years to come. You can find pre-made kits or find a talented friend to put one together for you. Looking for a unique way to post that menu you spent hours agonizing over? Use a large wood slice to let guests know what culinary delights they are about to consume. 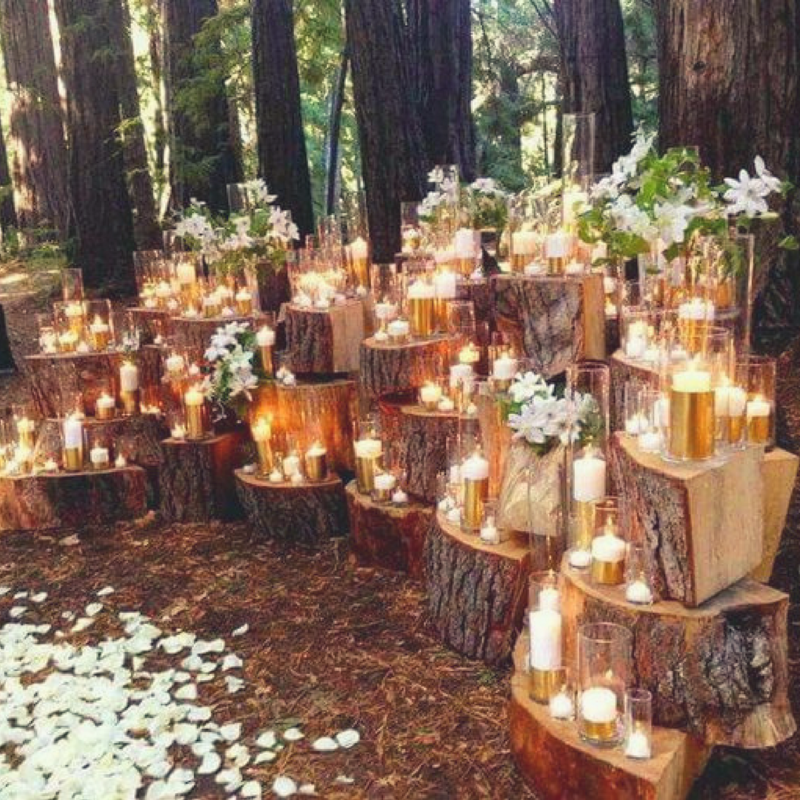 This look works in seamlessly with a woodland themed, outdoor wedding where décor is natural and fairy-tale-esque. 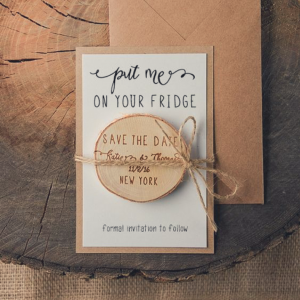 Wooden wedding invitations are a big trend for 2018, but you can take this one step further with a clever “Save the Date” fridge magnet on a thin slice of wood. Keep in mind thickness and weight limits or you might get soaked on postage costs.